Black-ish star Anthony Anderson is having one heck of a year! 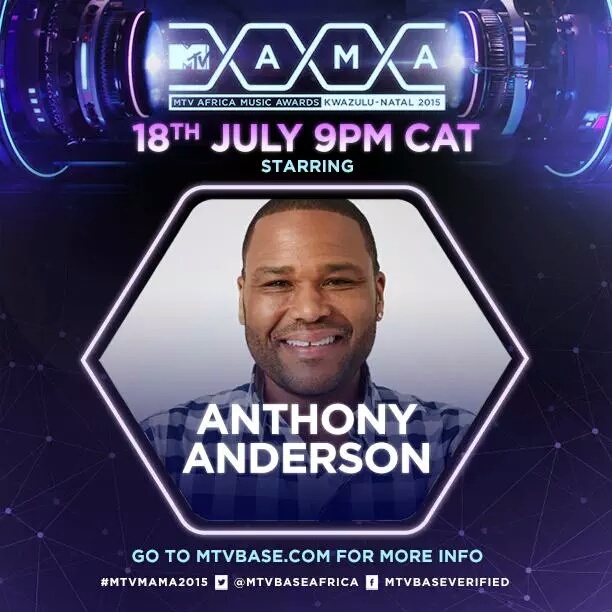 Fresh from co-hosting the BET Awards in LA the actor & comedian has been tapped to host the MTV Africa Music Awards KwaZulu-Natal 2015 (MAMAs) on July 18 at the Durban International Convention Centre. and will be telecast simultaneously on MTV Base (DStv channel 322), MTV (DStv channel 130) and BET (DStv channel 129). What do you think of Anthony hosting? Will he do a good job?